NEW YORK -- Police said the Bronx man who drove his car down a crowded sidewalk in Times Square Thursday was apparently high on synthetic marijuana. Action News has learned the name of the victim killed in the crash in Times Square Thursday afternoon. 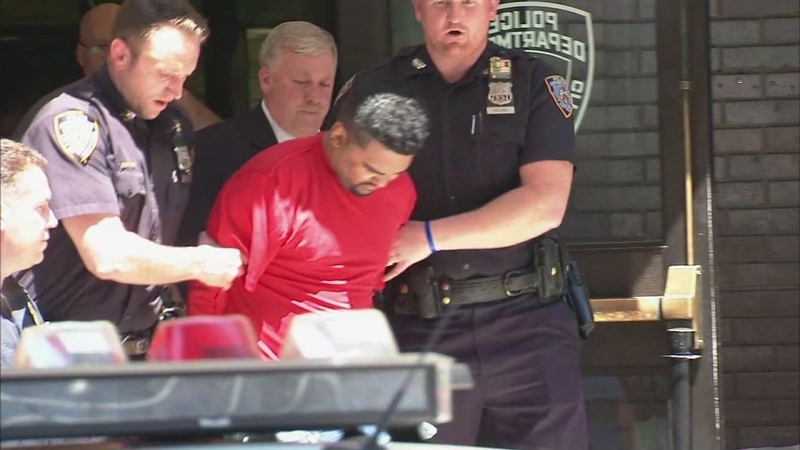 Law enforcement sources told WABC in New York that 26-year-old Richard Rojas appeared extremely impaired after the crash. It's believed he had been smoking the drug, also known as K2, prior to the crash that killed a tourist and injured 22 others. Initial tests have come back negative for alcohol, but positive for drugs. Blood tests are underway to check for the presence of synthetic marijuana or PCP among other substances. Rojas, who is a notary, was taken into custody shortly after the crash, which happened just before noon. Police said he had driven the wrong way at a high rate of speed up Seventh Avenue at 42nd Street on the sidewalk for three blocks. His vehicle was stopped by a metal stanchion at West 45th Street. Police said Rojas attempted to flee, but was detained by officers and civilians who apprehended the driver. Investigators found materials that indicated Rojas has an interest in Scientology and made comments to police that indicated he thought the end of the world was coming. Police are trying to figure out whether they should put any stock in his statements, fearing he might be suffering from psychological problems. Rojas is a Naval veteran, serving from 2011 to 2014. He has two prior arrests for driving while intoxicated, in Queens and Manhattan. In one of Rojas' two previous DWI arrests, he was allegedly going 90 mph in a 50 mph zone. His last arrest was for menacing. He was arrested May 11 for threatening someone who came to his house to get an annuity notarized. Police say he put a knife to the man's throat.